More than 90,000 businesses globally use the Box cloud content management platform to enhance collaboration among their employees and partners. End users in these enterprises leverage Box capabilities for tasks ranging from file sharing and access on mobile devices to sophisticated business processes, such as data governance and retention. 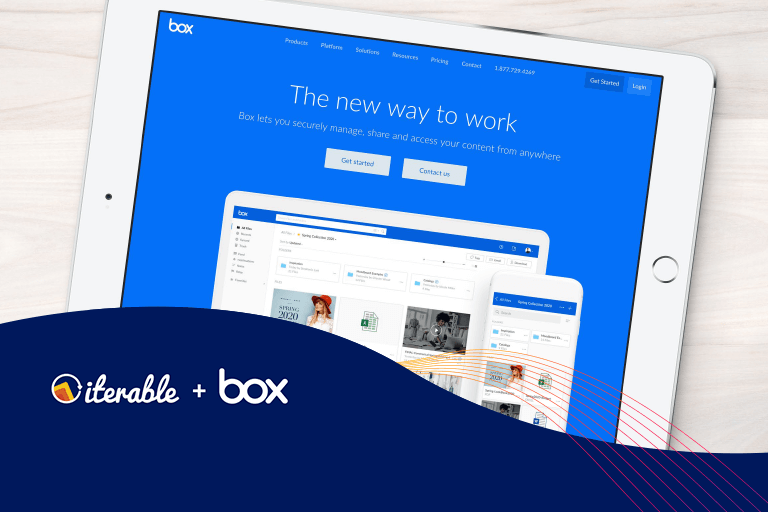 Two years prior to implementing Iterable, Box created a customer engagement function to expand the company’s reach beyond administrators to the people who use Box every day. The new team’s purpose: Ensure that end users get maximum value from Box’s offering. The expansion required scaling up Box’s customer communications capability from tens of thousands of administrators to tens of millions of end users. To achieve its mission to promote customer loyalty and retention, Box launched its user onboarding program. The campaign’s purpose is to increase adoption by educating people on how to leverage Box capabilities to increase their job efficiency and effectiveness. This sophisticated welcome series created with Iterable leads end users through a customized path based on milestones, such as account creation, initial login, and usage, as well as other user-specific attributes, such as the Box applications downloaded and how frequently each end-point is used. Box’s welcome campaign, built with Iterable Workflow Studio, automatically determines a user’s language before sending an onboarding message. Communication is highly personalized—even employing the user’s language of choice. Iterable’s APIs are used to push template data into Box, which is then shared with their localization vendor. 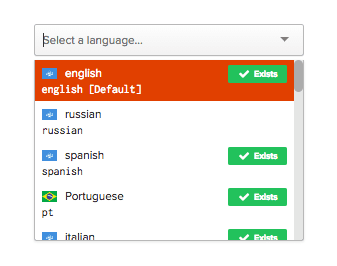 This process has increased the speed of translation by 5X. 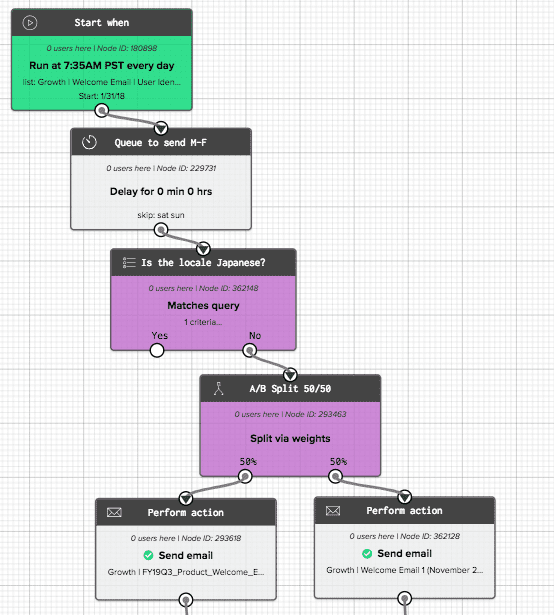 Box can support users around the world by localizing their campaigns in Iterable. Box attributes the success of its welcome series and other campaigns to Iterable’s ability to gather and combine many different types of data for segmentation and personalization. 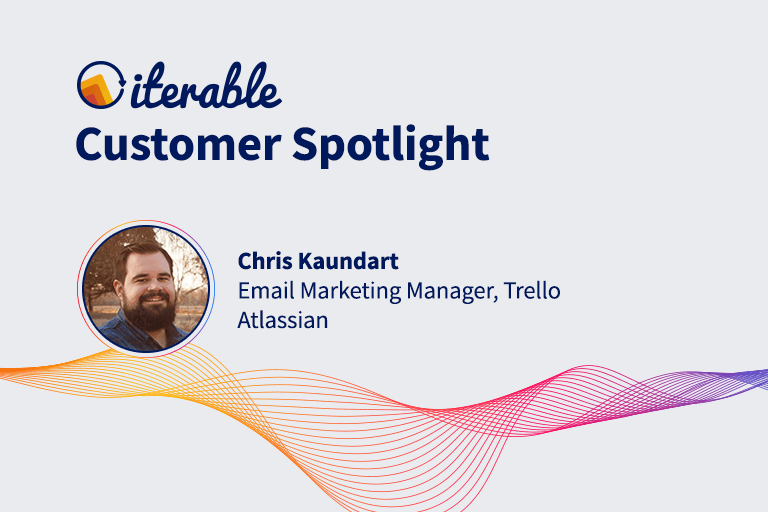 By using Iterable’s A/B testing to compare the results of the new welcome series with their previous approach, the Box team was able to show a 10% increase in user adoption. Download the full case study for more key takeaways on how Iterable has taken Box’s marketing to the next level. 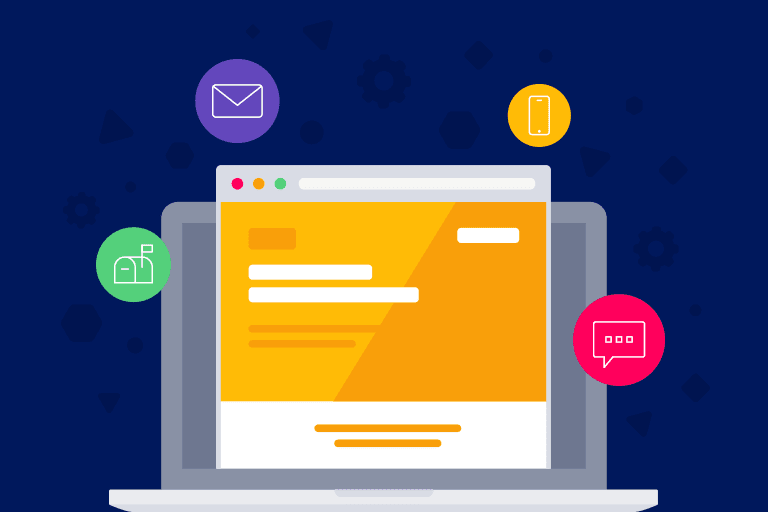 Contact us to learn how you can achieve seamless customer engagement with the Iterable Growth Marketing Platform.